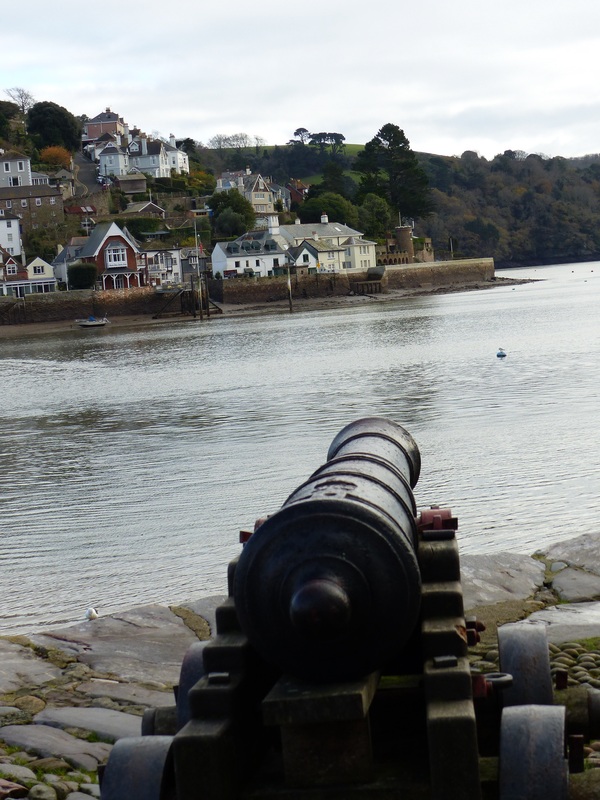 On The Wheels In Delightful Dartmouth – Run. Ride. Roam. “Did he get published??! !” were the words that preceded Steve’s appearance, when he all but fell through the bathroom door, in his frantic effort to seek an answer to this question. Did what get published? By whom? you may well wonder. We are speaking of none other than John Boy Walton! As Steve went to have his shower this morning, John Boy had submitted the manuscript of his first novel and was quite despondent after hearing nothing from the publisher six weeks later. While Steve was soaking and sudsing, all was resolved, but alas Steve was not there to see it. “Did I miss I it?” he asked, with more than a hint of disappointment, as I told him the outcome of events. Oh dear. He was nevertheless most pleased when I told him that all was well with John Boy and indeed, all was well on Walton’s Mountain. With Steve having such a trying time over the saga of Jim Bob, I don’t think he could have coped if he was left in limbo with John Boy too! 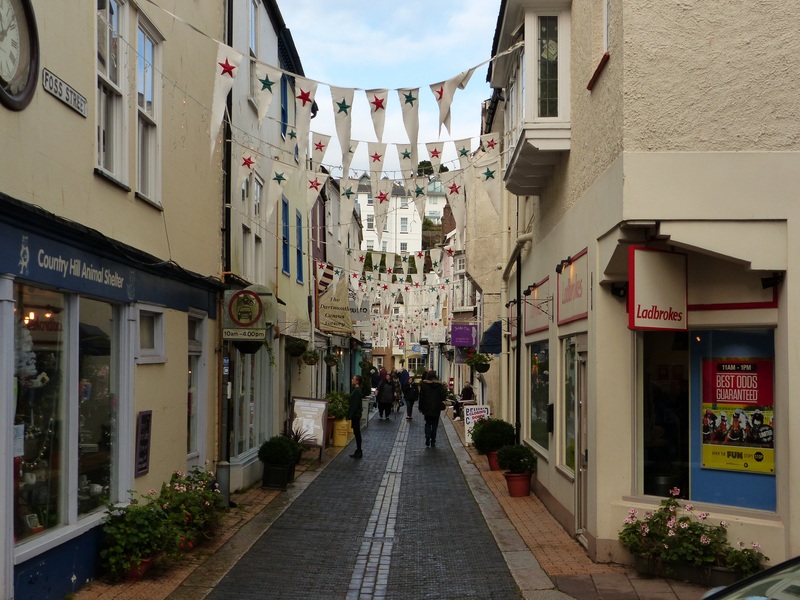 After checking in with the Waltons, we set off into the centre of Dartmouth. 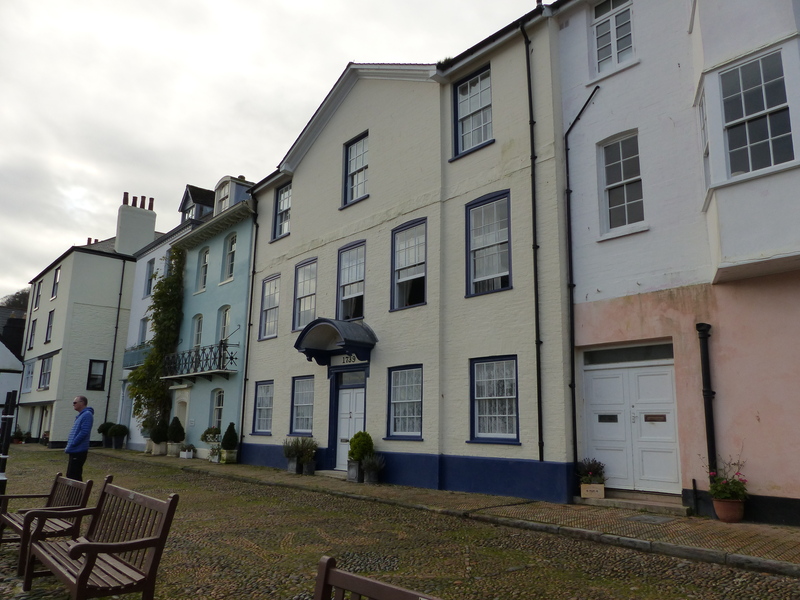 What an absolutely beautiful little town, a simply gorgeous little spot on the water, with cobbled streets and quaint buildings in a mix of white and pastel colours. First thing was to get the essentials taken care of, so off we went to the laundrette. This was the best laundrette we’ve been to, simply because of the lovely greeting we received on entering. 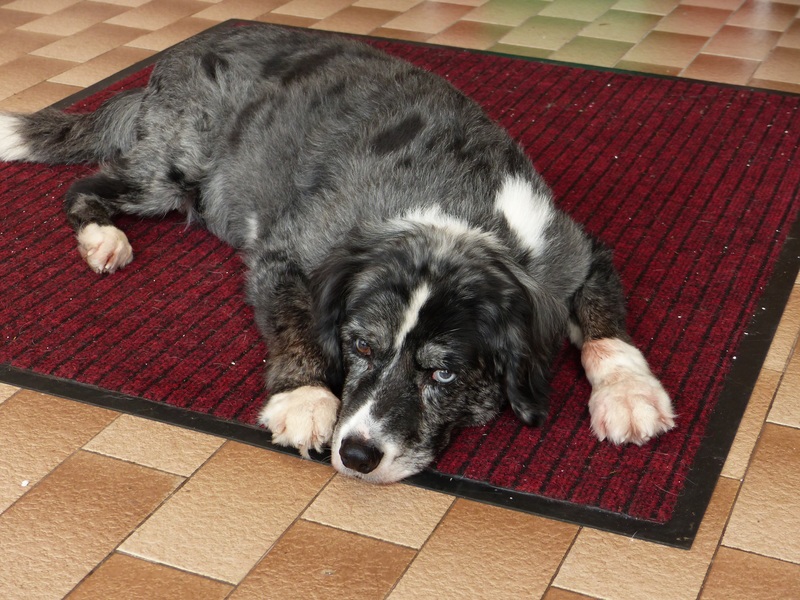 We’d no sooner stepped through the door when we were greeted by a large grey dog, tail wagging and mismatched eyes smiling, greeting us with such a friendly disposition and obviously keen to receive a pat. While Steve went off to nab a machine, I stayed and repaid this friendly greeting with a lengthy ear rub, chin scratch and general all-over pat session. He was just gorgeous. When we waited, he lay down on the mat at our feet, gazing around with one blue and one brown eye and each time the door opened, he would leap up, put the tail into high gear and meet all newcomers with a nose to the hand or the crotch, depending on the size and nature of the customer. It was a most enjoyable trip to a laundry! After dealing with the housekeeping, we strolled around the lovely little town and I couldn’t stop myself repeating over and over again, “It’s beautiful, I love it. I could live here. This is so me…” and on and on I went! 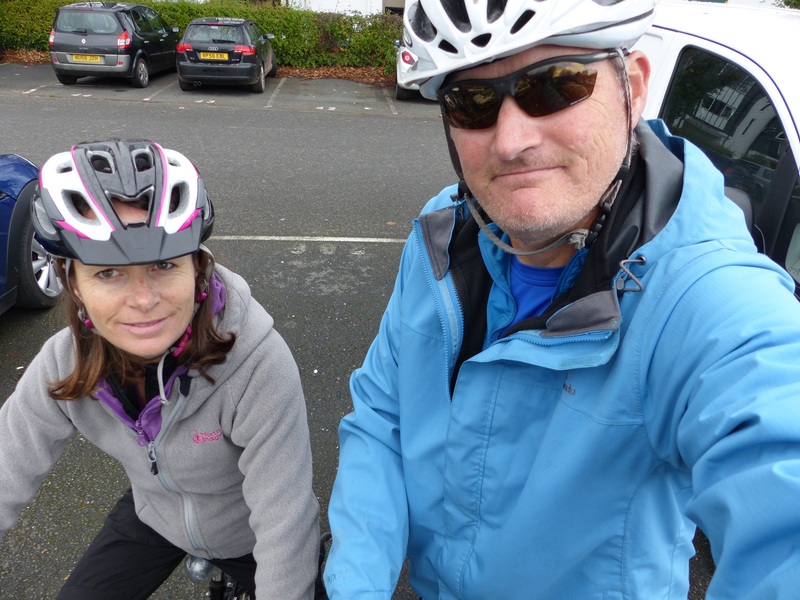 Then…we took to the bikes! 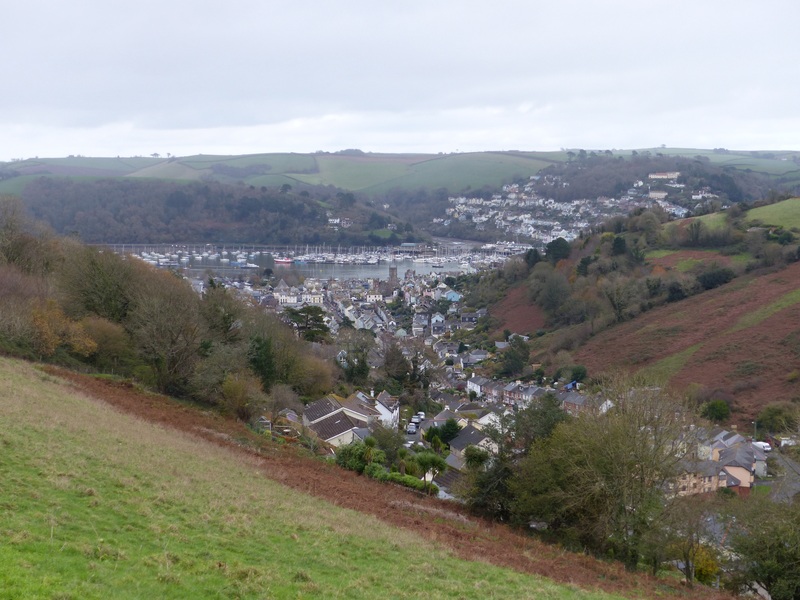 We hopped on our trusty steeds and pedalled off for a ride around Dartmouth. I was stoked to be back on my little bike and Steve said he was pleased to be back on two wheels again, although when we came upon another choice of transport, I began to doubt Steve’s loyalty to our bicycles. 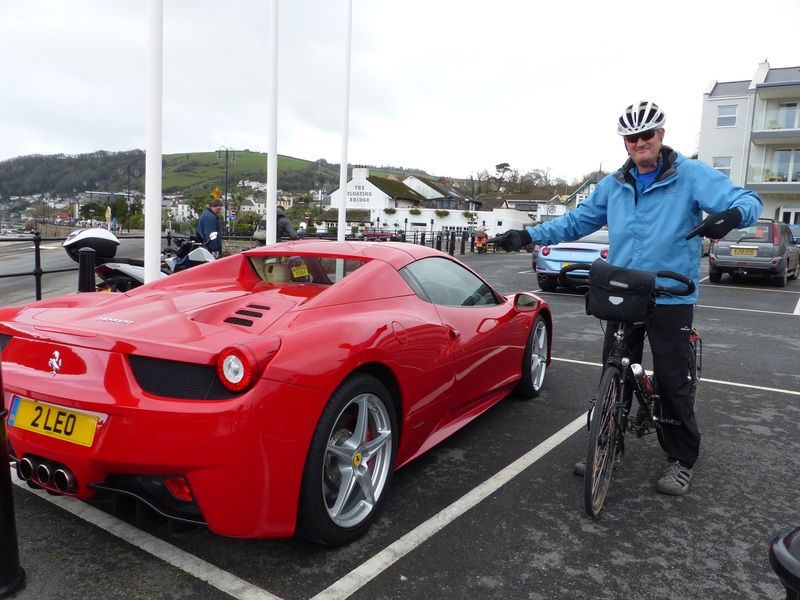 I’m sure, given the chance, he would dump the bike in an instant for this replacement! Hmmm, decisions, decisions…which one should I choose? 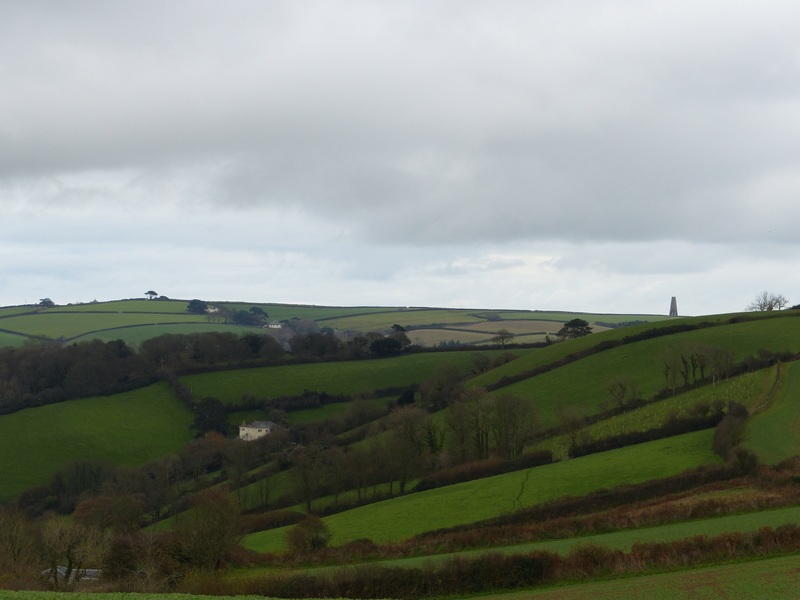 As we rode out of the centre of Dartmouth, what were we greeted with? Oh yes…a mighty hill! The hills of the South West were still there and still in front of us! Our first one was long and it was a mighty climb that got the heart rate up and the lungs and legs firing. This was the first of a few we tackled, but as always, the rewards for the climb, were the spectacular views. 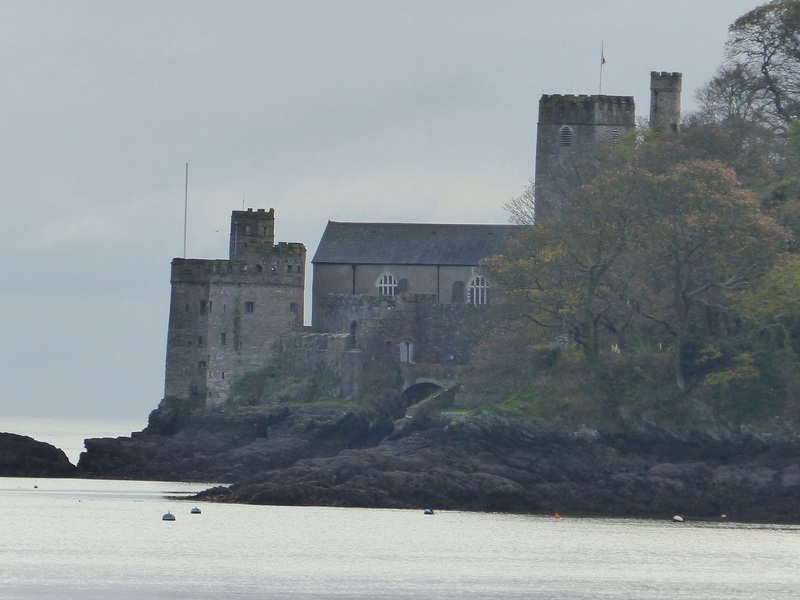 We rode around the countryside, then down to Dartmouth Castle, into Warfleet and then back along the river into Dartmouth. It was such fun. An absolutely splendid ride in a magic location. 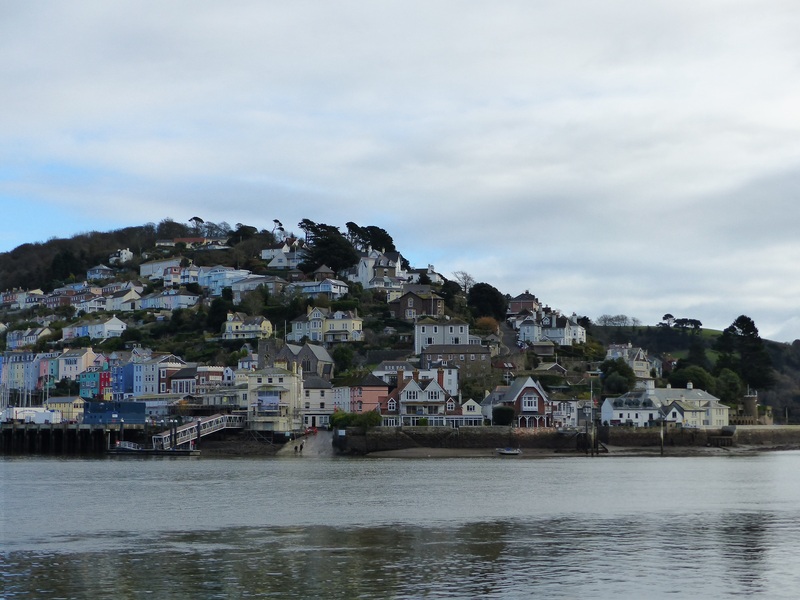 As we stopped to look at the lovely view of Dartmouth on our return, we watched the car ferry in action, which is the only ferry of its type in England. 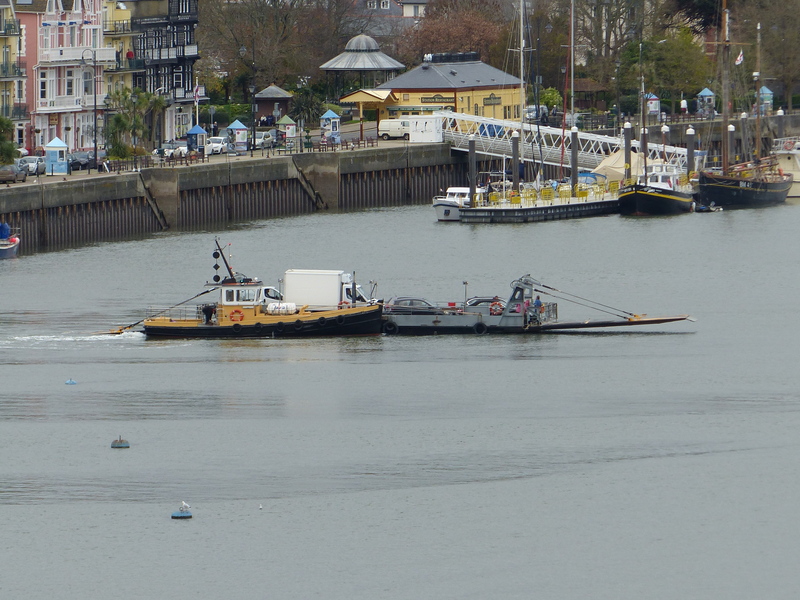 It relies entirely on a little tug boat for its propulsion, so each time the ferry crossed the river, the little tug appeared, went into reverse to pull the ferry away from the dock, then chugged around the back and pushed the ferry across the river. This is the process we stopped to watch and was another little local gem of a scene that we hadn’t seen before. The large brown building on the hill is the Royal Naval College, whose alumni includes Prince Andrew and Prince Phillip. We pedalled back to the van and thanked the bikes for the mighty job they’d done, giving us a splendid ride around the countryside and seeming to have suffered no ill effects from their forced confinement. Then back to our room we went and I went off to the gym for an hour’s run on the treadmill, since it was growing dark outside, and that rounded out the day. An absolutely splendid day. Topping. Super. Spiffing. Glorious. 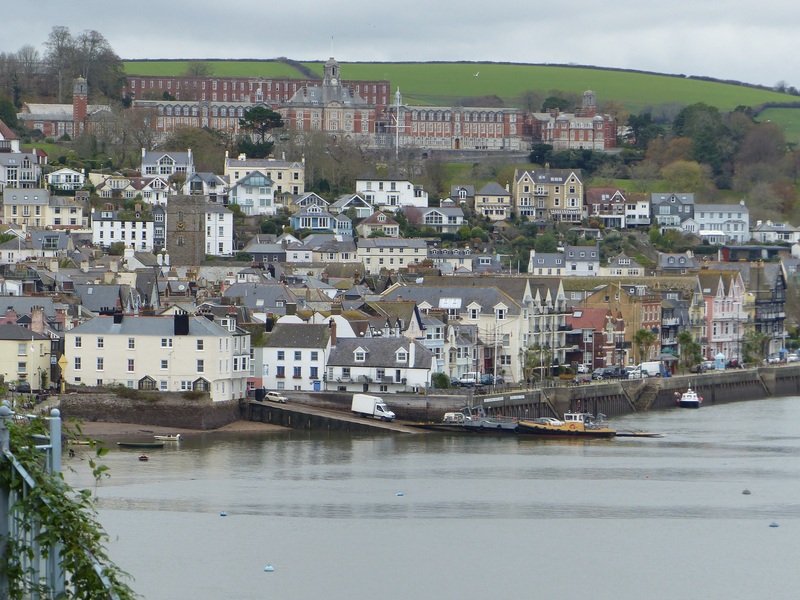 I loved Dartmouth and I loved getting on the bikes again and I loved pedalling around the countryside looking at the beautiful patchwork fields, views over the estuary and down into the pretty little town. Simply magic. Today was the trifecta…a run, a ride and a roam and we hit the jackpot too in this beautiful location. We are winners for sure, truly WINNERS!